I love the place. It is really romantic. I wanna have my wedding in this place. WOW, thanks for sharing such an insightful posts. 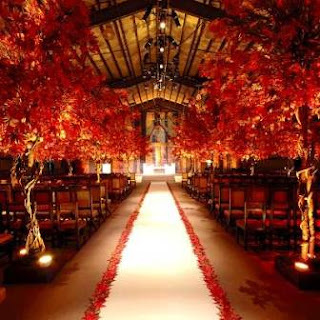 I really appreciate the ideas you offered on the many ways to generate the use of Autumn colors into your wedding such as earth tones and earthy decor - thanks again for the great ideas! That is the perfect autumn color scheme. Beautiful!